Who determines the meaning of a text? Can a text have more than one meaning? What is the role of the Holy Spirit in determining meaning? What is the overarching message of the Bible? Is the Bible really all about Jesus? Do all the commands of the Bible apply today? Why can’t people agree on what the Bible means? How do we interpret historical narrative? How do we interpret apocalyptic literature? How do we interpret proverbs? How do we interpret poetry? But it is one thing to set a laudable goal. The question is: did Plummer succeed? Generally, how did Plummer do? Amazingly well. It's really a terrific book, and I'm glad to commend it to you. The chapters are mostly 6-8 pages long, with 12 pages the longest ("Who Determined What Books Would Be Included in the Bible? "), and 6 the shortest (several). Therefore Plummer has to dive right into his subjects, without dilly-dallying. Yet he nicely bull's-eyes a balance between the solidly academic and the engagingly conversational. While obviously resting his instruction on solid, conservative scholarship, Plummer nonetheless brightens up the chapters with humor, personal illustrations and observations. He makes it look easy, but anyone who's tried can attest that it isn't. Overview: I was delighted to find such an up-to-date, yet thoroughly faithful, Christ-centered survey. Plummer says his aim is to help the reader understand the Bible, addressing himself to "any curious Christian," though specifically hoping that the text would serve for introductory Bible courses in college or seminary (11). He succeeded admirably. I would unhesitatingly put this in the hands of any new Bible reader, or recommend it for Bible study electives in church or in institutions. I will note a reservation or two, but they'd not give me a moment's pause. I don't know any work of its kind nearly as useful. The book is divided into four main parts, of which the second and third have two and three subdivisions, respectively. The first part contains seven questions dealing with issues of the text of Scripture itself, the books of the canon, and translation. The second part is more general, containing six questions relating to interpretation, and seven relating to meaning. The third part is more specific in scope, containing three subdivisions. The first of these encompasses both testaments, responding to seven questions about various literary genres and specifics. The second aims four questions at the OT genres of proverbs, poetry, and psalms. In the third, NT genres of parables and epistles are treated in four questions. The fourth part contains five questions about more recent issues such as Biblical criticism, "speech act theory," and others. Specific pluses. As I mentioned, Plummer's style is very readable, while conveying a lot of content. I appreciate how unapologetically Christ-centered he is, and how unapologetically faithful he is to the text. Nor is Plummer apologetic about being conservative. He alludes to a 15th-century (not 13th-century) Exodus several times (i.e. 20-21), refers to conservative writers like Stott and Archer (20), and mentions the possibility that Job antedates the Pentateuch (20). Plummer's also an emphatic inerrantist, explaining and defending the position very helpfully and well in a full chapter (37-46). Plummer gives a solid, brief overview of the history of Biblical interpretation in chapter 9, starting with the New Testament itself and going on to the present (85-94). 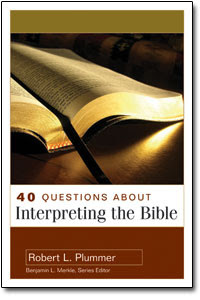 In the following two chapters' survey of general principles of Bible interpretation, we find a happy marriage of the spiritual (pray, trace the text to Jesus, meditate, approach the text in faith and obedience) and the intellectual (note the genre, be aware of historical/cultural issues, attend to context). This is blessedly characteristic of Plummer's book as a whole. In chapter 13, Plummer lays out helpful resources for Bible interpretation, including study Bibles, concordances, and rules for word studies, commentaries, and even software programs and web sites. I was particularly interested in how Plummer would respond to a couple of questions. One was, "Can a Text Have More Than One Meaning?" (chapter 15, 135-141). He quotes Robert Stein defining meaning as "The paradigm or principle that the author consciously willed to convey by the shareable symbols [i.e.writing] he or she used" (135). Plummer distinguishes meaning from implication (submeanings legitimately falling within paradigm or principle), significance (reader's response of acceptance or rejection), and subject matter (focus of the text; 135-136). He illustrates this from Proverbs 11:1 (136-137). Plummer's treatment of the sage's aphorism is, in my opinion, more successful than his subsequent handling of Isaiah 7:14, which he asserts flatly refers to a child who would be born to the prophetess (137). Plummer suggests that Matthew (in 1:23) is not asserting a second meaning, but either an implication (so Robert Stein) or a typological fulfillment. Plummer creatively brings out his understanding by means of an imagined dialog between himself and Isaiah (138-139) which succeeds in terms of communication, but falls far short of persuasion. He also leaves the door open for multiple fulfillment here and in Isaiah 9:6 (139-140). I also appreciated the clear-eyed way Plummer takes the concept of Christ being the center of the Bible and moves it from the level of slogan to a practical reality (Questions 17 and 18, 151-166). Disagreement, odd facets, or just-wondering. I'm a little puzzled as to why Plummer sums up Job through Song of Solomon as "Wisdom books" rather than "Poetry" (25, 62); I think not many would agree with that categorization. I also wondered why, in the fine chapter on ancient manuscripts, he didn't include another really fine book from Kregel. Plummer has a chapter titled "Which Is the Best English Bible Translation?" (69-75), which does not remotely come close to answering the question. Oh, he talks about the history of English translations, and philosophies of translation (which features an odd double typo: "On one side is the functionally equivalent translation, sometimes called dynamically [sic] equivalency.. [sic]" ). Then he's done! The titular question is never answered. Not even, "The best formal equivalent version is ___, and the best dynamic version is ___." Plummer takes a gratuitous (and wrongheaded) potshot at dispensationalism, saying that "Traditional dispensationalists...sometimes insist on literal interpretation of figurative language, though they have no defensible basis for doing so" (82). Really? Who, specifically? When, for instance? Plummer does not say. Without examples, documentation, and explanation, it just reads like a cheap shot at a safe caricature. Straw flies, the scarecrow topples, a false coup is counted. Plummer's approach to prophecy is similarly valuable, yet it falls short here and there as well. He begins with an inadequate definition of prophet ("someone who is sent by God with a prophecy--that is, a message from him" ), proceeds to water down the gift too much for the New Covenant era, defining prophecy again as "Spirit-inspired utterance" (198). But then Plummer rightly urges attending to introductory matters and context (199). For this blog, I'll leave off other criticisms, except to note my disappointment at Plummer's concession to the Grudem error ("the ongoing gift of Christian prophecy is different from the inscripturated prophecies we have in the Bible"; 202). Yeah, except no. Sum. More detailed interaction would be beyond the scope of a blog review, so let's sum it up. Do I have disagreements? Sure. Would I recommend the book? Without hesitation. The book is a great help and a great contribution, and I see it having a great use in Sunday School and other church discipleship settings. hile looking up something totally unrelated, I came across an intriguing bit of correspondence published in Jill Morgan's biography of her father-in-law, A Man of the Word: Life of G. Campbell Morgan. It's a fine example of how to respond to supercilious criticism. Having recently heard of the cheque you were paid by our treasurer, I wish to point out that to receive over thirteen pounds a day for expounding the Scriptures is a great stumbling block to the ordinary Christian, and still more so to 'the man in the street'. One frequently hears that preaching is only a profession like any other, its main object being to get money, and your big fees make me feel that there is a good deal of truth in it. Your reputation as one of the greatest Biblical scholars is in my opinion quite justified, and I thank God you use your great gifts to His honour and glory, but your love of money is positively appalling. If, as I have been told, you have heavy expenses, my reply is, no Christian is justified in living extravagantly, and no one else that I know of asks or expects such huge fees. If I thought that studying the Scriptures produced such fruit as that!—but of course, such a thing is absurd, for its effect should be just the opposite, on a lowly, Christ-like life. It is the inconsistent lives of Christians that produce such harm. . . . I am in receipt of your amazing effusion of Sept.——. It is characterized by impertinence based on ignorance. In the course of it you use the expressions, 'big fees', and 'huge fees'. For your enlightenment I may say that I make absolutely no charge for my work, neither does Mr. Marsh, who has made all my arrangements. The amounts which are paid to me are decided by those whom I serve, and it is of the essence of bad manners for anyone outside the interested party to interfere in such arrangements. When you speak of "living extravagantly" you are once more revealing your crass ignorance, and I have no intention of giving you any information as to my methods of life. The only kindness you can do me is to let me know how much you contributed toward the gift of love which was handed to me at X—, and allow me the pleasure of sending you a cheque for the same. No one can afford to be careless regarding what he puts into writing, and Dr. Morgan's statement of the method he followed in the matter of remuneration he received for his services was always meticulously carried out. What he never put into writing, and what was never known to the rank and file was the extraordinary generosity with which he used the 'huge fees' when they came his way. Less than a week after dictating this letter, he was making arrangements to help a friend which involved a long journey and a new start in life, and for this privilege he was footing the bill, not as a loan but as a gift. This side of his character was, it is needless to say, entirely unknown to his explosive correspondent. Morgan's reply to a rude and haughty correspondent is the model of both candor and restraint. I wish I could write like that. The PyroManiacs devote some space each weekend to highlights from The Spurgeon Archive. The Following Excerpt is from "Discipline in Christ's Army," a sermon preached on Sunday evening, 13 July 1879.
t is a very great sin on the part of Christian soldiers, to make false alarms to discourage and dispirit their fellow-soldiers. There are some professors who seem to delight to tell us of a new discovery in science which is supposed to destroy our faith. Science makes a wonderful discovery, and straightaway we are expected to doubt what is plainly revealed in the Word of God. Considering that the so-called "science" is continually changing, and that it seems to be the rule for scientific men to contradict all who have gone before them, and that, if you take up a book upon almost any science, you will find that it largely consists of repudiations of all former theories, I think we can afford to wait until the scientific men have made up their minds as to what science really is. At all events, we have no cause to be distressed concerning science, so let no Christian man's heart fail him, and let him not raise any alarm in the camp of Christ. The sermon is from a series delivered by the Doctor in Pensacola in 1969. The whole series is downloadable for free, courtesy of The Martyn-Lloyd-Jones Recordings Trust (a ministry worthy of your prayers and financial support). The Christian church in her utter folly during this present century has been recognizing a new authority. And the new authority of course is the man of knowledge, the man of culture, and particularly the man of scientific knowledge. And the church has been at great pains to do everything she can to please this new authority. This man of learning must never be offended. And in order to please him and duplicate him, the church has been ready to take things out of the Bible. She rejects and throws out the whole of the first three chapters of Genesis, much of the other history, throws out all the miracles . . . She'll throw out anything in order to make her message pleasing and acceptable to this new authority—the man of knowledge, the man of learning, the man of science. It is stunning in its plain-spoken objectives. It is stunning in its unqualified rejection of historical categories. It is baffling in its appeal that it is “compatible” with faith in Jesus Christ. On 14 Aug 2010, BioLogos posted a video from Tremper Longman, and a brief essay from him regarding the historicity of Adam and Eve. Before we get into this, let’s make sure that the allegedly-meek supporters of the BioLogos site and agenda as they have manifested here have said plainly that BioLogos is not trying to re-write Christian orthodoxy – that their concern is about the stumbling block of 6-day creation and not about how we understand man anthropologically or spiritually. The description of how Adam was created is certainly figurative. The question is open as to whether there was an actual person named Adam who was the first human being or not. Perhaps there was a first man, Adam, and a first woman, Eve, designated as such by God at the right time in his development of human beings. Or perhaps Adam, whose name after all means “Human,” is himself figurative of humanity in general. I have not resolved this issue in my own mind except to say that there is nothing that insists on a literal understanding of Adam in a passage so filled with obvious figurative description. The New Testament’s use of Adam (Romans 5 and 1 Corinthians 15) does not resolve the issue as some suggest because it is possible, even natural, to make an analogy between a literary figure and a historical one. This issue is an important one. It is wrong to challenge people to choose between the Bible and the science of evolution as if you can only believe that one or the other is true. They are not in conflict. It is particularly damaging to insist that our young people make this kind of false choice as they are studying biology in secondary school or college. If we do so, we will force some to choose against the Bible and others to check their intelligence at the classroom door. This is a false dilemma created by a misuse of the biblical text. is a misuse of the text, dear reader. Moreover, that Luke thought this way doesn’t speak to us at all (see above from Longman) about how Paul thought about this – because Paul’s use of the fall as evidence of all our sin is somehow the right way to see what Jesus did. Without getting overwrought here, that’s like saying, “Since in Paul Bunyan we all have a great blue Ox, so in Obama we all have the hope for the future.” It’s childish at best, and an insult to the kind of work Paul is saying Jesus -- who is God -- has done for us really and not merely mythically or somehow supernaturally. The longer this goes on, the more ridiculous it looks to say that BioLogos is somehow preserving orthodoxy and making science’s peace with faith in Christ. And that said, the Keller paper at BioLogos is on my agenda for next Wednesday. For those of you who haven't read that paper, find it here, and then pack a lunch. There was a young student who took an interest in math. He bought himself a textbook, which came with a teacher's guide. He had heard much about this textbook, and looked to it for instruction. Then in his studies, he came on a complex problem. But he had great confidence in his math skills. This was not the only book he had studied; he had learned from many other competing books as well. So he decided to apply their formulas and methods to this problem, and he did so with great diligence. An hour's worth of calculation left him sweaty, proud at his achievement. He had the answer: 43,147,343,590. Now he was ready to reach for the plum, with the inevitable happy results. Yet when he opened the teacher's guide, his face fell. It said the answer was 47. He had come up with the wrong answer. Wrong? But he couldn't be wrong. He'd worked it through, thoroughly and carefully. He'd applied every method and formula he'd picked up from the other books. Okay, maybe not, let's check. So he went to the other books, reviewed, refreshed his memory. He bought the newest textbooks, and looked at them. He started all over, reviewed, re-calculated. This time he spent two hours. But now the answer was 63,147,343,601. He did it again and again, but each time his number got larger; and each time, the teacher's guide did not change. That 47 was crystal-clear, unambiguous. Before commenting, please read this, and this. Some of you will read this post as a break from the series on the issues with BioLogos. That would be an error on your part. I could transcript it for you, but then my point would be buried under his very-good teaching on this passage. Turns out that this is actually a sermon from 1996 according the the Redeemer web site. You will get my version of this story instead -- and why it matters to the BioLogos controversy. Here's the place in Scripture where John the Baptist -- the guy who Jesus later in this very passage called "the Elijah who is to come" -- is in prison, and he's actually giving God some sassy lip. You know: the real Elijah burns up all the prophets of Baal, and just because he missed Jezebel he runs off to a cave to ask God to let him die because the evil queen is still threatening him. So the Elijah who is to come at least comes by it honestly. So John sends his disciples to Jesus to ask him, "listen: I'm in jail, and I thought you were the savior of Israel, so are you going to set me free here, or is there someone else who's going to set Israel -- and by 'Israel', I mean 'me' -- free?" So Jesus says to them, "Tell John ... blessed is the one who is not offended by me." Think about that a second: Jesus is telling camel-cloth prophet John (who baptized him) in much the same way as he tells everyone earlier in Matthew's Gospel, "blessed are those who mourn, blessed are the meek, blessed are those hungry for justice, etc.," except that rather than addressing the crowd, ("blessed are they") he's addressing one guy ("blessed is he"). But how does he say that? It's all in the ellipsis, isn't it? The blind receive their sight and the lame walk, lepers are cleansed and the deaf hear, and the dead are raised up, and the poor have good news preached to them. See, John: I'm the one saving the ones who need to be saved. Pastor Keller does a very keen job of getting you there in his sermon by focusing on that key phrase I underlined -- that the poor have good news preached to them. In fact, he makes it a point to say that this is really the central matter of the Gospel which most churches that call themselves "Christian" miss out on. Most "respectable" churches are preaching a Gospel not for people with no hope but a message for people who just need to try harder. They don't need to be saved: they just need a good example. And in that, he says, they have lost the supernatural, culture-spanning power of the Gospel -- because they want to be for the respectable and not for the helpless. The poor, you see, understand their plight better than the comfortable: they cannot save themselves. And this, I think is where we turn this passage of Scripture to the problem of being intellectually respectable. It seems to me that this is the central matter for the BioLogos folks: they do not want to save anybody. They want to merely do better as the world might see it. The creation story of BioLogos is compatible with many faith traditions, and there is no way to give a scientific proof for one monotheistic faith over another. Therefore, this response will simply show the compatibility of Christianity with BioLogos. Over the past few decades, sociobiologists have begun applying Darwin’s theory to many aspects of human behavior, including altruism. If evolution selects only traits that promote reproductive success, then altruistic behaviors seem contrary to the underlying principle of evolution. Sociobiology and evolutionary models can account for some elements of altruism, but radical altruism poses additional challenges. That is: science can and does offer an explanation which we don't have to be ashamed of. But Jesus here tells John that the one who is not offended by Jesus -- the one who doesn't necessarily protect us from persecution, but in fact saves us to take up our cross and die daily to sin -- is the one who is blessed. The six primary Planets are revolv'd about the Sun, in circles concentric with the Sun, and with motions directed towards the same parts and almost in the same plan. Ten Moons are revolv'd about the Earth, Jupiter and Saturn, in circles concentric with them, with the same direction of motion, and nearly in the planes of the orbits of those Planets. But it is not to be conceived that mere mechanical causes could give birth to so many regular motions: since the Comets range over all parts of the heavens, in very eccentric orbits. For by that kind of motion they pass easily through the orbits of the Planets, and with great rapidity; and in their aphelions, where they move the slowest, and are detain'd the longest, they recede to the greatest distances from each other, and thence suffer the least disturbance from their mutual attractions. This most beautiful System of the Sun, Planets, and Comets, could only proceed from the counsel and dominion of an intelligent and powerful being. And if the fixed Stars are the centers of other like systems, these, being form'd by the like wise counsel, must be all subject to the dominion of One; especially since the light of the fixed Stars is of the same nature with the light of the Sun, and from every system light passes into all the other systems. And lest the systems of the fixed Stars should, by their gravity, fall on each other mutually, he hath placed those Systems at immense distances from one another. It seems to me that this sort of thing speaks plainly to their objectives -- which are not nearly and Bible-friendly and Gospel-friendly as they want to let on. They are, in fact, offended by this sort of faith. It speaks to the kind of faith and blessing they are looking for. NOTE: I'd almost forgotten this little piece from 2006. A pastor friend reminded me about it the other day. He found it chuckalicious, and I hope you will — again, or for the first time, depending on your degree of newbiecociousness. Unusually emphatic disclaimer: This is satire (săt'īr' -- "A literary work in which human vice or folly is attacked through irony, derision, or wit"). People come to you for help — instead of assuming that, if you really knew your job, you would intuitively know they needed help, and come to them without being asked. Everyone immediately tells you, to the best of his ability, what his or her actual issue is. Everyone who asks you a question really wants to hear the answer. Everyone who asks you for help really wants to be helped. Everyone who calls you really does want his/her computer to work the very best it can. You and your callers agree that computer bugs and problems are bad, and should be done away with. When you identify viruses, spyware, unwanted popups, and crashes as "bad," and target them for elimination, the folks you help don't accuse you of being harsh and judgmental. Nobody who calls you is actually in love with the computer problems and misbehaviors they're experiencing. When you identify a computer malady you want to eradicate, nobody can wave a book or point to a Big Name who argues that it is actually the latest, greatest "thing" in computers, and should be earnestly sought after, cherished, cultivated, and spread abroad. Nobody who calls you for help thinks that he's hearing a little voice in his heart telling him that what you're saying is just so much smelly cheese. Everyone to whom you give sensible counsel will hear, heed, remember, and follow that counsel — they won't insist on "feeling an inner peace" before doing it. Everyone thinks you do crucial, important, and respectable work; nobody assumes that it is because you can't get a "real job." Everyone assumes you’re well-trained, know what you’re doing, and know at least some things they do not already know. While you are expected to be knowledgeable and competent at what you do, you are not expected to be perfect. Most times, you know immediately when you’ve helped someone; you don’t have to wait six months, six years, or six decades, to see whether your fix has “taken” or not. On the worst day, if you do even a half-decent job, you can go home knowing for certain that you’ve really helped 5, 10, 15, 20 or more people. If you don’t know the answer, it’s probably on Google. Somewhere. When you discover a new, better, more effective way to accomplish the goals you share with the folks you help, they're happy — not angry at you because it's different from "the way we've always done it." The people you help don’t care how you’re dressed. The people you help don’t care how many committees your wife does or doesn’t head up. The people you help don’t hold your children to standards their children couldn’t even spell. The people you help don’t periodically form secret committees and whisper-campaigns to get you ousted. The people you help don’t all assume they know how to do your job better than you do, while actually knowing next to nothing about it. Everyone is fairly clear on what your job actually is: fix their computer so they can get back to work, or work better. The people you help evaluate you by whether you do or do not do your actual and well-defined job effectively — not by how you "make" them "feel." The people you help aren't judging you as inferior to a beloved support technician who died ten (or a hundred) years ago. AFTERWORD: Hope this proves to be encouraging (and chuckalicious) reading for you who are gifted as pastor-teachers, as well as thought-provoking for beneficiaries of their ministry. I've been mulling this over for many months, and decided to put it up here and now. The happy dovetailing with Phil's Spurgeon post for the week is providential. And remember to pray for Phil's preparations. 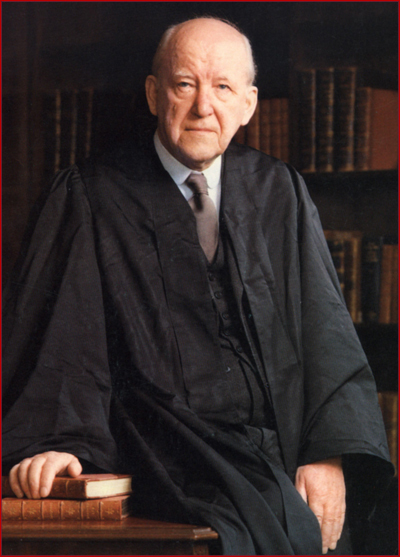 ast month several regular contributors over at the BioLogos blog wrote a series of posts exploring the question "How Should BioLogos Respond to Dr. Albert Mohler's Critique?" That question was prompted by Dr. Mohler's June 19 message titled "Why Does the Universe Look So Old?" at this year's Orlando Ligonier Conference. Dr. Mohler took a position that is at odds with the central canon of the BioLogos credo. BioLogos most certainly needed to respond. The question was, How? Evidently, the gentlemen at BioLogos have finally settled on their best strategy for replying to Dr. Mohler: Publish something at the Huffington Post accusing Dr. Mohler of dishonesty. To paraphrase one of my Facebook friends: Even if they really do believe the abusive ad hominem argument they are making against Al Mohler, that's an interesting strategy. Let's air our differences at this bastion of secular humanism, and we'll invite some of the giants of discernment over at Huffpo to sort it out for us in their combox. 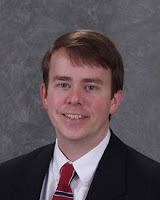 Dr. Karl Giberson, vice president of BioLogos, wrote the Huffington piece. The case he makes against Dr. Mohler has basically one point. Here it is: In his Ligonier lecture, Dr. Mohler claimed that Charles Darwin had a pretty good idea about what kind of "evidence" he was looking for before he ever boarded the Beagle; he was already sympathetic to evolutionary theory, and he was already hostile to biblical authority. Not so, Dr. Giberson says. Darwin was a devout Christian and a creationist when he first set off on the Beagle. Giberson claims Darwin's very first doubts about the reliability of Scripture-as-history came as he collected his samples and observed and analyzed the biological evidence. Dr. Giberson evidently would have us believe Darwin was a typical evangelical until an honest inquiry into the scientific evidence forced him to take a more enlightened position. Furthermore, Darwin was enthralled with natural theology and (like BioLogos) held the truth-claims of Scripture to be less reliable and less authoritative than "scientific proofs." That was what prompted his interest in science to begun with. And—as Dr. Giberson himself notes in an earlier open letter to Dr. Mohler—"[Darwin] was a devotee of William Paley." Perhaps the most succinct summary of William Paley's religious convictions comes to us from Sir Leslie Stephen, a younger contemporary of Paley's. Stephen was a respected English author and an Anglican clergyman. He described William Paley as "Socinian in all but name." Given BioLogos's own theological trajectory (I'm thinking particularly of their dismissive attitude toward key doctrines like biblical authority and original sin), they may not recognize Socinianism—or its close cousins, Unitarianism, Deism, and theological liberalism—as anti-Christian worldviews. But Dr. Mohler certainly understands that those ideas are hostile to Scripture and antithetical to every major stream of historic Christian faith. In other words, Dr. Mohler undoubtedly disagrees with Dr. Giberson's assessment of Darwin. As difficult as this may be for Dr. Giberson to receive and as hurtful as it may be to his academic ego, Dr. Mohler no doubt found Dr. Giberson's book Saving Darwin: How to Be a Christian and Believe in Evolution unpersuasive. But as far as Dr. Giberson is concerned, the only possible explanation for Dr. Mohler's statement about Darwin is that Mohler simply doesn't care about truth. Giberson insists Dr. Mohler is a deliberate, cold-hearted, shameless liar. I'm not exaggerating. Giberson loaded his Huffington article with just about every accusation and insult space would allow. He stops just short of making Mohler out to be a felon. Giberson alleges that Mohler "does not seem to care about the truth and seems quite content to simply make stuff up when it serves his purpose." "Perhaps [Mohler's] only real encounter with Saving Darwin was an instruction to an assistant to 'find something in Giberson's book that I can ridicule in my speech.'" "Mohler perhaps, is being a 'faith fibber,' something I have been guilty of, although not on this scale." "I am disappointed to realize that [skeptic Michael] Shermer, who repudiated his faith, has more respect for the truth than Al Mohler, who views himself as a caretaker of a faith that I share." Because in the very next sentence, Giberson goes on to assert that "religious belief is complex and full of mystery, paradox, and contradiction" (emphasis added). That is tantamount to saying faith is an absurdity. I'm fairly confident Dr. Mohler would not view himself as a caretaker of that sort of faith. It's not true faith at all by any biblical standard; it's classic existential and neo-orthodox nonsense. But anyway, let me get to the thing that chafes me most about BioLogos's answer to their own question, "How Should BioLogos Respond to Dr. Albert Mohler's Critique?" My answer would have been, "Address the biblical and theological points he made." Dr. Mohler gave several clear doctrinal arguments to show why the peculiar brand of cosmological deism being touted by the BioLogos crew is incompatible with sound doctrine and hostile to a high view of Scripture. Their campaign is destructive to foundational doctrines of the Christian faith, starting with the authority of Scripture and the doctrine of original sin. The theological case Dr. Mohler made was compelling. Until BioLogos responds to it, I'll stand by what I have said all along: They cannot be serious when they claim they are interested in bringing science and faith together. Indeed, they are steering people into the same spiritual blind alley that ultimately caused Darwin to abandon theism altogether. And the skeptical blogosphere is full of spiritual casualties who are living (and dying) illustrations of what happens when half-hearted faith hits that dead end. My series on Biologos is sort of a multi-headed beast because that's the problem with error: it's never a linear sliver in the body of Christ which you can extract with a sharp razor cut and the quick pinch of a tweezer, or a tick which you can pull off at once if you get a good grip on it the first time. Error, as the New Testament tells us, is more like leaven -- or maybe more like Athlete's foot: you don't just remove it, but you have to clean house and treat the afflicted in order to get it all out. One of the key matters at BioLogos is the idea of a diversity of readings of the OT -- which is an interesting ploy as already shown in this series. The root of it is the slogan that if guys as diverse as Origen and Augustine could read Genesis non-literally, we can too and still be in the great cloud of witnesses. My opinion is that this reasoning comes from an application of what is called "the Bauer Hypothesis", or "the Bauer-Ehrman Hypothesis" (hereafter, BEH). For those of you who live in the real world and don't find esoteric battles over the retelling of history either compelling or actually-interesting, BEH was established in the first half of the 20th century by Walter Bauer -- the same eponymous creator of the most significant lexicon of NT Greek in use today, the BDAG. Bauer's thesis -- which he never really substantially proved -- was that if you surveyed the cities in the first three centuries of Christian faith, you would not find Christianity, a unified body of beliefs and practices. You would instead find christianities, a loosely-connected body of beliefs which were not consistent from place to place and which did not all teach the same thing. This is relevant to Bauer because this is reflected in the texts of the New Testament -- there is not one orthodox faith reflected in the texts of the NT, but a diversity of confluent teachings which may or may not harmonize but are nevertheless accepted as all part of the same general faith in this fellow Jesus. The theory is now called "BEH" because the ubiquitous Bart Ehrman resuscitated the theory after it had been widely disproven in the 70's and 80's. 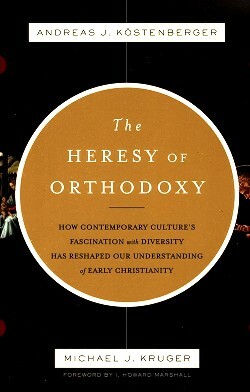 Ehrman's, um, improvements to the theory include the idea that the variation in texts and text-types demonstrates Bauer's thesis, and that we should see the sociological history of Christianity as one in which the narrower view co-opted the ground of "orthodoxy" from the diversity of the earlier age. If we are to return to the source, we should return to a more-diverse Christian faith in which many views -- even conflicting views -- be welcomed in as family. Certainly, the advocates at BioLogos wouldn't accept this as even remotely credible -- and whether this is an orthodox view I leave to the open discussion about Origen's own place in the history of Christianity. The point being that BEH resides among the primary supports of the BioLogos approach -- and BEH is, frankly, a disreputable approach to the history of the faith. Now seriously: don't take my word for it. Earlier this year, Andreas Köstenberger and Michael J. Kruger, through Crossway, published the excellent book, The Heresy of Orthodoxy, which exposes BEH for the unsustainable opinion that it is. D.A. Carson says it "patiently, carefully, and politely [exposes] this shameful nakedness for what it is." I honestly could not have said it better myself. Köstenberger and Kruger take the time to dismantle the textual and historical misunderstandings which compose BEH, and they do it in a way which any reader can understand. Their well-documented research and arguments frankly outshine the object of their investigation because of the sobriety with which they approach the task. So as you engage this topic, approach it with this book in-hand. Educate yourself on the history of the text of the Bible and on the origins of orthodoxy -- especially of the text of the Bible and how it was received. But don't let someone who is allegedly serious about "orthodoxy" tell you that that "orthodoxy" is about how inclusive you can be. t the moment the Relevant Magazine website is featuring an article titled "Why Our Generation Doesn't Care About Prop 8." It purports to explain why young people who self-identify as Christians "aren't fighting against gay marriage." The article is irritating on several levels. In the first place, while listing "tired rhetoric" as one of the reasons "the younger faithful have left the conversation altogether," the article reads like a syllabus of shopworn shibboleths gleaned from a table of remaindered Zondervan/Youth Specialties books from 2004. You know: kids today are much more thoughtful and more charitable than evangelicals have ever been. "Young people confront this issue with respectful dialogue rather than angry argument." Tired rhetoric, indeed. In the second place, the article totally misses the most obvious reason for the Relevant constituency's apathy about moral issues. Evangelical young people have been systematically indoctrinated with the notion that being cool is infinitely more important than being doctrinally sound or morally upright. Relevant Magazine is one of the chief culprits in that campaign. To be clear, what frustrates me most about the Relevant article has nothing to do with gay marriage in California (or anywhere else). I don't think I have ever blogged or Twittered on that subject myself. In fact, if I were assigning the articles at Relevant, I would have asked instead for an article titled "Why Our Readers Don't Seem to Care About Justification by Faith," or "Why we seldom deal with serious biblical issues." But just look at relevantmagazine.com's front page and you'll have the real answer to the question of why the Relevant generation doesn't care about gay marriage, sound doctrine, or any other biblical or moral issue (unless it's something that is already being promoted by the hip and famous under the rubric of "social justice"). Here's a sampling of what Relevant Magazine actually does care about: Michael Cera's new movie; Will Ferrell's new movie; dumpster diving for spiritual relevance in Mad Men; the Jet Blue flight attendant who took "that big inflatable slide to freedom" (he "was a hero to all of us"); Wyclef Jean's bid for the presidency of Haiti; and so on. In short, regular readers of Relevant are relentlessly force-fed topics, values, and perspectives borrowed from sources like People and Us. They aren't being taught the importance of having a biblical position, even on something as central to our faith as the gospel—much less on a moral issue like gay marriage. That's the inevitable trajectory of radical contextualization. It's been a dangerous drift for three decades or longer. Now it's a deadly rip tide. And yet the Internet and the airwaves are filled with more voices than ever demanding more radical contextualization and an even more reckless and worldly quest for "relevance." Challenge: If you won't call it prophecy, word of wisdom, word of knowledge, or God speaking, then what will you call my feelings, hunches, experiences, notions and impulses? It is simply irrefutable that the BioLogos project is deeply entrenched in obliterating what's described in my fifth point, and in engaging in activities covered by my fourth point. This is their chief aim -- as it is the aim of every cult, post-orthodoxy, which finds itself wanting to appease some other authority apart from or above Scripture. This assertion requires more than just saying it is so. Look for my exposition of this in the near future. And here we are, a week later, so let's begin. One of the very helpful things about the BioLogos site is that it is well-constructed. You know: it's easy to find what you're looking for, and also to identify what they think is their most important stuff. For example, you can find right at the top of their site a navigation bar with the tab "The Questions" clearly labelled. It's quite a list of questions -- good questions as they say. And it's good, for example, that they don't exactly eliminate the the possibility of miracles. In fact, I rather like it that they call miracles "rare" because, of course, this is PyroManiacs and we are what we are. The problem is that by "rare", they don't mean what common cessationists mean by "rare": they actually mean, "even some of what the Bible identifies as acts of God are probably not actually 'miracles' but are in fact acts which science can explain better than the writers of the books in the Bible." Before I go there, let's step back a second. I used strong words last week to underscore my exit from Evangel over this issue, and I stand by all of it. I will in fact be spending most of the rest of this year spelling out what I mean by it all by demonstrating it from the BioLogos site -- an activity which will not convert one soul to the Gospel and in that respect be an almost-useless activity from an evangelistic standpoint. But while the saving of the lost is a critical issue, protecting the saved is another, and that's the goal here. But to do that properly, it's right to treat the statements of BioLogos' contributors fairly -- so while I'm convinced they're headed down the wide and easy road, they do say some things worth considering and putting into the virtual library for our own education. So for example, you can find this on the page answering the question, "Can scientific and scriptural truth be reconciled?" Truth is an increasingly complex notion. Postmodern epistemology challenges the very possibility of even obtaining truth, with some philosophers going so far as to say that there is no such thing as truth to be obtained. Very few scientists, however, accept this pessimistic view. Their experience with the regularity of the laws of nature, and the remarkable predictability of natural phenomena on the basis of these laws, has instilled in them a deep intuition that the truth is out there. A truly postmodern scientist is very hard to find. The last sentence is especially droll and instructive as this is the ultimate argument against post-modern skepticism: nobody walks around as if they are the only measure of truth when they actually need something from someone else. Nobody. The problem is foreshadowed, though, in the underlined parts of the intro statement -- and notice it: scientists aren't postmodern because of their experience. Just mull that over for a minute before I go on. I'l wait here. Let's assume for a second that they were simply trying to write what they meant there in popular rather than technical terms, so the implications of experience being the measure of value and truth are actually accidental and not intentional or philosophical. Error is intrinsic to all human activity, including science; human technology is imperfect; and human comprehension is incomplete. All these factors contribute to a limited understanding of ultimate, absolute truth. Nonetheless, science is self correcting. Scientific findings are constantly tested, updated and peer reviewed. Inaccuracies are corrected when new discoveries and experiments bring the truth to light more fully. This does not mean that the truth has changed. Rather the tools used to find the truth revealed their limitations due to flawed technology, inadequate understanding or misinterpretation of data. As these tools improve, science leads us closer and closer to the truth. Building scientific theories resembles map making. A map gathers different kinds of data like longitude and latitude, elevations, waterways and climate to make a coherent representation of reality. The map is not reality itself but a model of reality. Scientific maps of reality, known as theories, need updating in response to new discoveries or improved understanding. Selfish motivations and scientific error can also play a role in scientific discovery. Self-promoting individuals can push for outcomes that advance their reputation. A desire for particular results or an assumption about the ways things are can result in manipulation of data, whether consciously or unconsciously. Unfortunately, there have been plenty of examples of such contrived data in the history of science. One chronicle of how such distortions were perpetuated can be found in Steven Jay Gould’s The Mismeasure of Man, which retells the tragic story of how 19th century science found alleged data to support prevailing prejudices about the relationship between race and intelligence. 1. Notice that science has a self-correcting mechanism which is not actually above science epistemologically, but is intrinsic to science specifically because of its method. Let me say frankly that this is what encouraged me to call BioLogos a cult last week: the plain exclamation from them that, while they may be wrong in some way, their human method is how they will be corrected into standards that will improve in such a way that they produce "enormous success". While I concede that I'm pleased with the combustion engine and Lipitor and air conditioning -- huge wins against the natural world to be sure -- this is first of all a post-modern definition of science as it relies on the validity of experience rather than the nature of objective reality, and also seeing epistemology as answering the question, "does it work? "; second of all, it's also somewhat self-involved (big surprise from postmodernism) because it believes that the only real opportunity in these investigations is to succeed. 2. Because it is inherently a naturalistic view of science (that is, it plainly expresses that all causes can be the subject of scientific discovery -- even if there are other explanations for causes), it sells the Bible short. Borrowing an example from the Rev. John Polkinghorne, there is more than one answer to the question of why the water in a tea kettle boils. The scientific answer might be because the burning gas heats the water. Another acceptable, though nonscientific, answer could be that the water is boiling because I want to make a cup of tea. Both of these answers are true, and both accurately describe the boiling water from different perspectives. The kinds of answers found in the scriptures are generally nonscientific but are always true. Well, thank heavens that the Bible has some kind of historical truth to it -- but notice the stratification of truth: the scientific reason for why water boils is plainly a primary reference for the matter, and the need for the boiler of water for his tea is "another acceptable" answer. And also notice: we can believe the historicity of the birth of Jesus because science has generously explained the Star at His birth. The need to believe that this star was the fulfillment of prophecy, and caused pagan astrologers to come and worship the King of the Jews, may be "another acceptable" explanation, but we're not told that. We'll see how these fellows approach the virgin birth when they get to it -- because for heaven's sake, there are causes for such things. So my first volley here at those championed by Christopher Benson is this: after we look at the affirmations they provide to answer the question, "Can scientific and scriptural truth be reconciled?" the substance of their answer is clear -- science is the basis for substantiating scripture, and we're grateful that the self-correcting nature of science will improve our grasp of what God has said and done. More next week. Be with Jesus' people in Jesus household on His day this week, and leave your test tubes and oscilloscopes at home. But drive safely.